Richard and Max show off their new apparel. Photographer Tom Clark told me one time (in a comment on his blog) that despite the fact that he crochets exceptionally beautiful beanie caps, often of exotic yarns, he couldn’t crochet a dog sweater, like the ones my wife makes, no matter how he tried. I thought of that comment tonight when Abby finished making Max the Chihuahua a new sweater using the same yarn with which she’d made a hat for me a few weeks ago. Although the yarn Abby used wasn’t alpaca or dalai lama (I think it night have been muppetskin), in the five minutes it took to make photos of us tonight, my head felt like it was going to burst into flames. I expect this new hat will be perfect the next time I go camping. Also, Max is strutting around the house now like he owns the place. In the comments, Dennis Udink mentioned this photo, which was made in Edmond, Oklahoma, January 2000. The camera is the Nikon F3HP, with the 24mm f/2.0 mounted on it; great combo. The hat is wool, which I found itchy and too hot on all but the coldest jaunts. I ended up giving it to our lovely friend Jamie in the fall of 2003. Pssst. 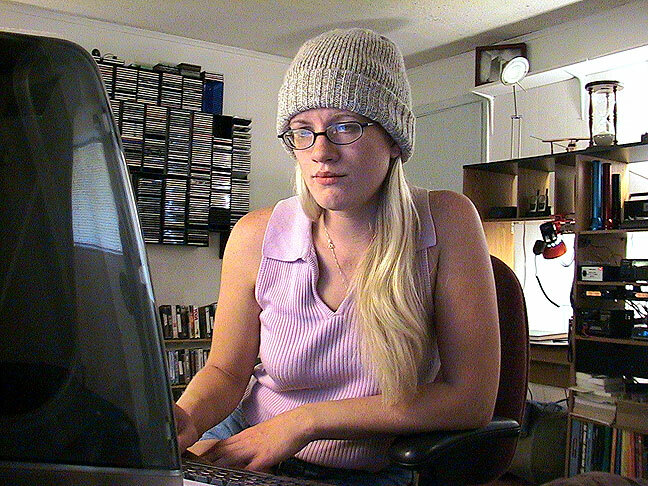 Tracey loves and wears warm knit caps all the time. His current ones are unraveling. Hint hint. Abby sez: what is Tracey’s head size? His head is especially large, if that helps. This is incontrovertibly the cutest photo ever — in which Richard appears. This reminds me of the very first photo I saw of you, Richard. 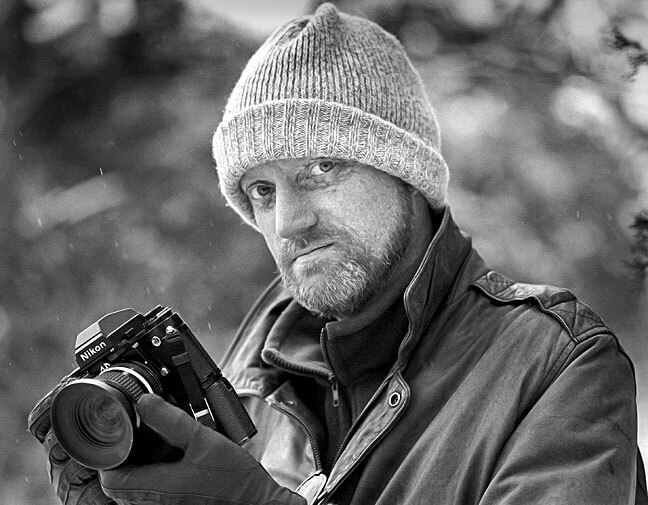 It was your avatar on UUtah, in which you were holding a camera and wearing a beanie cap. You looked like a total badass–I searched for but couldn’t find the exact photo, but hopefully you know which one I’m referring to. It’s a great photo. And, coincidentally, while searching the web for said Richard-in-a-beanie-cap photo, I ran across the actual Beanie Cap Guy’s website. Oh, my.